Join Anna and the Professor as they travel the world in a race to find the seven Tears of Sekhmet! Anna has made her way to the heart of a hidden temple to find the source of Napolean's downfall. After collecting crucial artifacts to end Nefertiti's curse, she must now protect them from her stepbrother, who would love to use the power for evil! 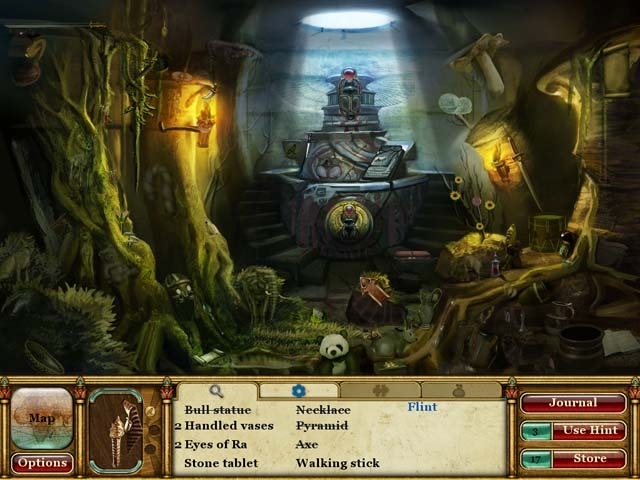 Curse of the Pharaoh: Tears of Sekhmet is a great Hidden Object game, full of wonder and excitement!